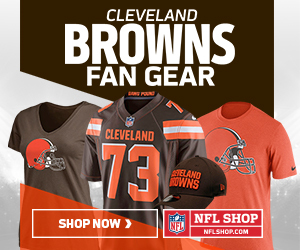 NFLFan.uk - A look at the Cleveland Browns and NFL London games from a UK fan's perspective. FINALLY! The Cleveland Browns have got rid of the incredibly unreliable Josh Gordon in a trade with the New England Patriots. The Browns get a draft pick in return for him which is a higher pick than I thought anyone would be willing to give for a player of Gordon’s character. Oh my days, what a rollercoaster ride of a game that was. The Cleveland Browns and New Orleans Saints met in week 2 of the 2018 NFL regular season. This post is where I bang on about a few of the things I saw in the game and my opinion of them. Finally, the Cleveland Browns have done what I wanted them to do quite some time ago. They have announced that they plan to release Josh Gordon after the New Orleans Saints game. Here’s my early thoughts on the move. The Cleveland Browns and Pittsburgh Steelers met at FirstEnergy Stadium under very wet conditions to play out their week one NFL regular season game. In this post, I have a look at what I saw from watching the game live as it happened. John Dorsey and the Cleveland Browns aren’t done with their mammoth rebuild of the historically bad roster they inherited from previous regimes. They are still working on improving the defensive line and have added ex-Detroit Lion Anthony Zettel after his release the day before. Here’s what I see from the move to bring him in. It’s time for me to cast my eye over the Cleveland Browns’ defence and have a look at the players who made the final roster cut. In this post, I have a look at the units within the defence and what I like/dislike about the players within them. The 2018 NFL season is just around the corner and the Cleveland Browns have made their final roster cuts and additions ready for kickoff. Here, I have a look at the final roster on the offensive side of the ball for the start of the season and give my opinions on what our team looks like right now. Yet more drama has unfolded in Cleveland (I bet HBO and the Hard Knocks people can’t believe their luck) as linebacker Mychal Kendricks has been released after it came to light that he’s been involved in insider trading whilst he was with the Philadelphia Eagles and it has finally caught up with him.